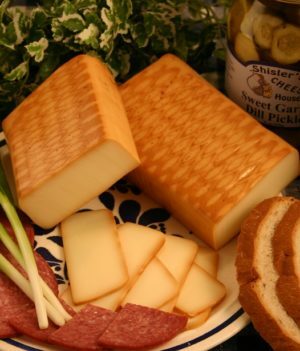 Baby Swiss is another of our local selections, made in Charm, Ohio by the original producer Guggisberg Cheese. 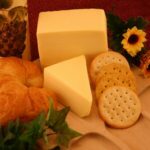 Some of Our other Signature local cheeses include Swiss, Sharp Swiss, Amish Butter Cheese, Yogurt Cheese, and several variations of each. 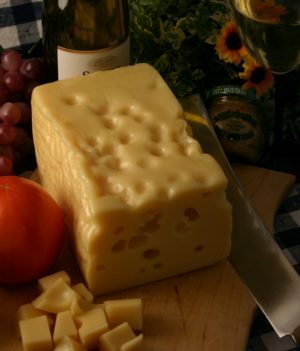 Baby Swiss is a young, semi-soft whole milk cheese distinguishable by its myriad of small holes. 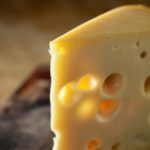 Baby Swiss is closely related to Swiss cheese, made by substituting water for the milk’s whey to slow bacterial action, Baby Swiss has smaller holes and a milder flavor. 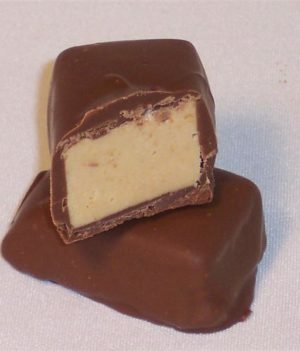 Baby Swiss is often made from whole milk. 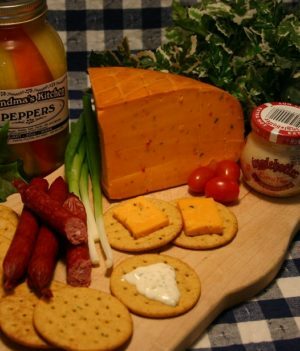 Baby Swiss has a delightfully creamy and mild taste, a delicious favorite! 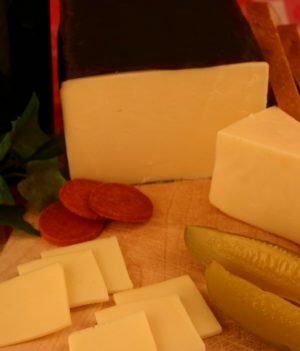 Smoked Baby Swiss is also available, along with Lacy Baby Swiss for those who prefer a lower calorie version. 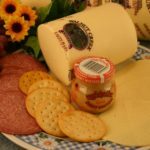 Baby Swiss originated in 1967 just outside of Charm, Ohio, and was invented by cheese connoisseur Alfred Guggisberg, an alumnus of the famous Swiss Federal “Molkereishulle” (cheese maker’s institute). 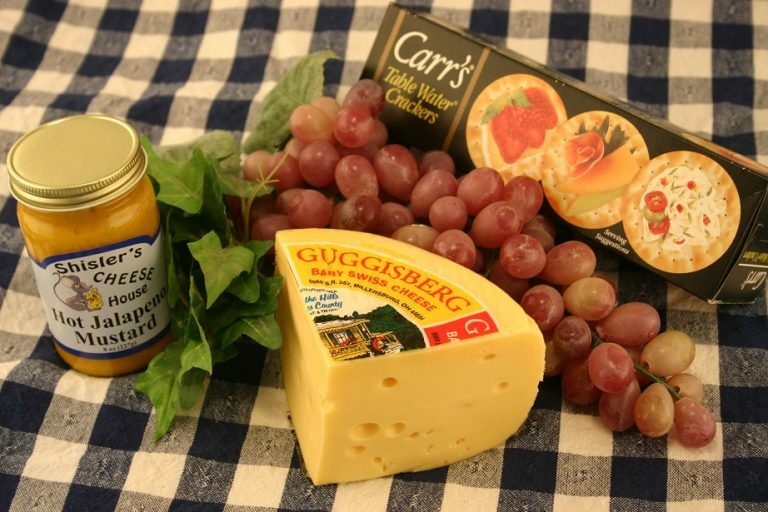 The name Baby Swiss was coined by Alfred’s wife, Margaret Guggisberg, who thought that in comparison to the larger wheels of traditional Swiss cheese, when placed side by side, the new cheese looked like a baby. 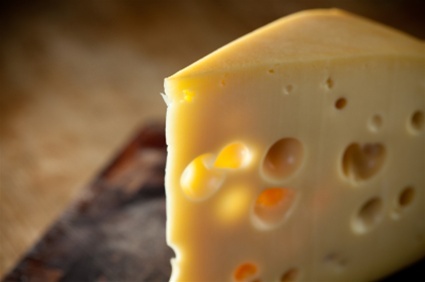 Like its close relative Swiss cheese, Baby Swiss pairs very well with numerous wines. The most popular pairings are Cabernet Sauvignon and Merlot. Beaujolais and Pinot Noir are also great matches. 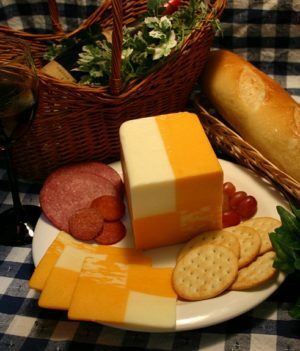 If you prefer white wine, Chardonnay, Riesling, and Sauvignon Blanc pair well with Baby Swiss. And for the beer lover, Baby Swiss goes well with Lager, Pale Ale, and Weiss Beer.